Reading a guide to Go Fish will help you understand and play the game well. This is a popular card game that you can enjoy with your family and friends. It is not really a complicated game to play. That means even your kids can play it. If the kids are bored at home and you have nothing to do, this is a game that you can enjoy together. The main goal of the game is to complete four of a kind of any rank of a card. For instance, to complete a card rank of 3, you must have all 4 suits: 3 of diamonds, 3 of spades, 3 of clubs and 3 of hearts. When you have completed the four, you can keep the set and that equates to one point. The more sets you can complete, the higher the point you can earn. In a pack of cards, there are 13 possible sets to complete: 2s, 3s, 4s, 5s, 6s, 7s, 8s, 9s, 10s, Jacks, Queens, Kings, and Aces. The player that completes the most number of sets will win the round. Now the tricky part is completing the four kinds. This is why you need to read a guide to Go Fish. You can bet that all the players will be trying to complete as many sets as they can so you need a strategy to win the game. All players will start with 5 cards each. The rest of the cards will be scattered in the middle – like an ocean. Each player will take turns in asking a player for a card. For instance, if you started with 2, 3, 3, 5, 10, it is but natural that you will try to complete the card with the rank of 3. After all, you already have the two kinds. You will then choose one of the players and ask them if they have a card with the rank of 3. If they do, they will be forced to give it to you. If the player has the two kinds of 3 that you are missing, that means you have completed the set. You can remove all four kinds of the 3 and set it aside. That will give you a point. Now if the player you asked only have one card with the rank of 3, you can still get that but you will be allowed to ask another player for a card. If the next player that you asked also has a 3, you have completed the set. In case the player that you asked do not have the card that you asked for, they will tell you to “Go Fish.” You will them pick a card from the “ocean” in the middle. If you get the card that you need, like the 3, you get another turn. That means you can ask another player for a card. If not, the player to your left gets to have their turn. If the card that you got from the middle is not what you need, it will just be added to the cards in your hand. This goes on until all the players no longer have any cards. If, after completing a set, you end up without any cards in your hand, you will take 5 cards from the “ocean” of cards scattered in the middle. If there are no more cards in the middle, you will no longer take part in the game and just wait until the other players run out of cards. At the end of the game, the player with the most points will win. There are some version of go fish online as well. These do however not offer that same genuine feeling as playing the game the traditional way. For anyone looking for some fish game online it could then be better to try a slot machine with fish theme. This types of games is something you can find at other online game sites as Casumo with fast withdrawals. 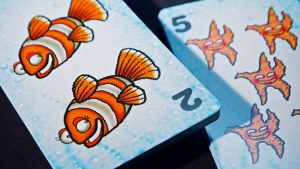 Hopefully, this guide to Go Fish will help you enjoy and win the game against your opponents. 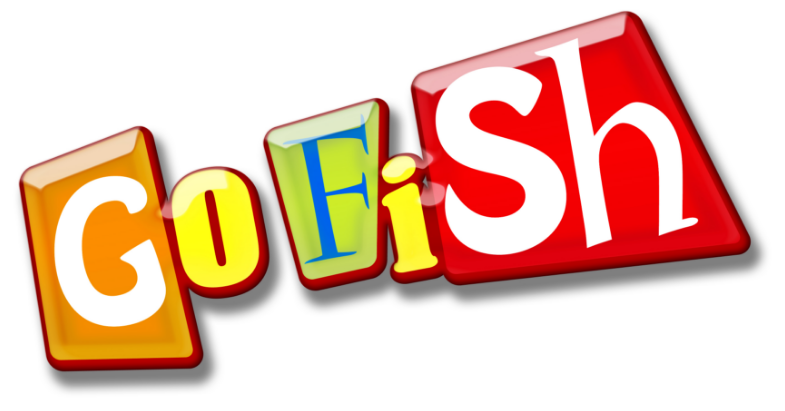 Copyright © 2019 Our site gosfish.co.uk, All Rights Reserved | Bingo Theme by Flytonic.